The Rural Housing Loan, otherwise known as the USDA Guaranteed Loan, offers some of the greatest benefits in the country when it comes to mortgage options. 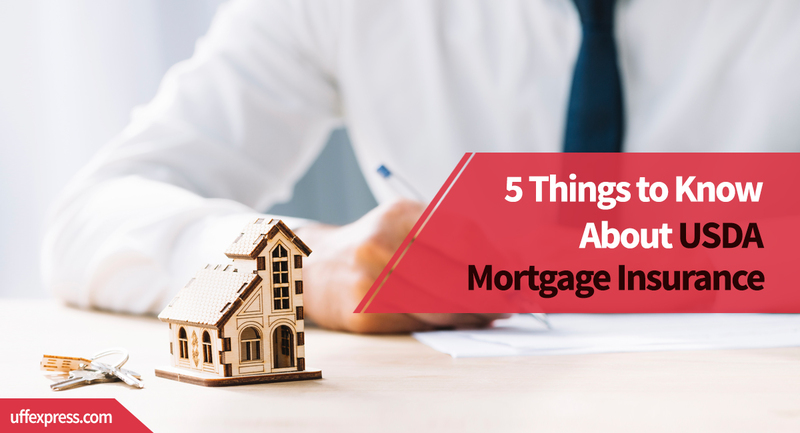 In this article we’re going to focus on the key components of mortgage insurance and particularly what you need to know about USDA Mortgage Insurance. Mortgage Insurance is a term that resonates with many people throughout the country and is often understood as the insurance added to your mortgage payment to protect lenders. Conventional loans comprise about 70% of the mortgages originated in the US, and while most Conventional loans don’t carry mortgage insurance (because the homeowner has 20% equity in their home), the term “Mortgage Insurance” really refers to the Private Mortgage Insurance on Conventional loans. That’s ultimately where the phrase was coined to its popular term today. Reality is, ‘mortgage insurance’ is termed different things for each of the loan programs. On an FHA Mortgage it’s called Mortgage Insurance Premium (or MIP). There is no monthly mortgage insurance required on a VA loan. On a USDA loan it’s not called mortgage insurance at all. Instead, it’s called the Annual Guarantee Fee. The annual guarantee fee is calculated annually but broken down monthly and added to your mortgage payment on a monthly basis. The annual guarantee fee is one of the cheapest mortgage insurance options of any loan program. On a USDA loan, the annual guarantee fee is .35% of the loan amount. That figure is then divided by 12 to get to a monthly premium. On an FHA loan, the mortgage insurance premium is calculated at .85% per year. The PMI (or Private Mortgage Insurance) on a Conventional loan can often cost significantly more. Mortgage Insurance on a Conventional loan is based on both down payment percentage and credit score. It can range anywhere from .25%-1.5% per year of the loan amount. USDA Monthly Mortgage Insurance example: if your starting mortgage balance is $200,000, the annual guarantee fee will be $700/year ($200,000 x .0035 = $700). Broken down into a monthly payment, it would add $58.33/month to your mortgage payment. Tip: if you want help accurately estimating your potential mortgage payment, use our customized USDA Loan Calculator. Like FHA loans, the USDA has two separate mortgage insurance premiums. The first is something called the up-front guarantee fee (or loan guarantee fee) and the second is the monthly guarantee fee. The upfront fee is calculated at 1% of the loan amount and is financed into the loan, meaning it’s a cost that you don’t owe at closing and actually repay over the life of the loan. The FHA’s Upfront Mortgage Insurance Premium (UFMIP) costs 1.750%, so the USDA’s charge is drastically lower and helps you save a significant amount of money. The monthly insurance costs .35% of the loan amount per year, and as mentioned above, is then broken down monthly and added to your overall mortgage payment. Like an FHA loan, the mortgage insurance on a USDA loan does not get cancelled once you reach 80% loan-to-value. That only applies to Conventional mortgages. On a USDA mortgage, the guarantee fee stays on for the life of the loan. Despite this being the case, USDA loans offer significantly more affordable mortgage insurance (compared to the other loan programs), and given that the USDA rates are lower than the other loan programs, USDA is over the best route to go if you can qualify for it. Eventually, once you reach 20% equity in your home then it may be worth considering refinancing your home to a Conventional loan, but given the USDA Mortgage Insurance is so affordable, it’s likely not worth the cost to refinance your home simply to remove it. The USDA up-front guarantee fee can be (1) financed into the loan complete, (2) partially paid at closing with the other portion being financed or (3) the entire insurance premium being paid at closing. USDA loans have far-and-away the best mortgage insurance option of any loan program out there. USDA’s is more affordable, saving borrowers thousands of dollars over the first 5-10 years of the loan. Assuming you and the property you’re interested in qualifies for a USDA mortgage, you should taken advantage of it! Apply online or give us a call to see if you’re eligible!